Roman shade kits, insulated roman shade kits, roman shade supplies and Roman Shade hardware. Our story began many decades ago when we had already been deeply involved in the custom window treatment business. Energy, just as today, had become an expensive and even rare commodity. We knew window coverings had a place in addressing this need. Our efforts lead us to explore the concept of “movable insulation”. Window treatments could, and should, be an integral part of home décor and energy management as well . Roman shades were the perfect vehicle. Attractive yet elegant in their simplicity, roman shades could work with any décor - formal, casual, and anywhere in between. The use of nearly any decorative fabric could set the style and tone and roman shades could easily be integrated with other window coverings. After significant research, we developed the Roman Quilt Insulated Shade®. Its layers and components provided a unique opportunity to combine form and function. Being equally attractive and energy efficient, it was clear that Roman Quilt Insulated Shades were an important tool in decorating as well as energy management. In order to see first hand how well Roman Quilt Insulated Shades could fit into the energy management system we traveled extensively throughout the United States. We found that management of heat transfer through windows was important in every region. Our products worked extremely well in all climates – and with a flair. Not by chance, we designed them that way!! Roman Quilt Insulated Shades have withstood the test of time. Shades produced decades ago are still in use today; many years after they’ve paid for themselves through energy savings. Today, with the necessary components, anyone with a bit of sewing knowledge can create this beautiful, energy efficient, custom product. We now provide customized kits which include all of the components required. We custom cut the insulation and lining for each window and pre-mark them with quilting locations. We remove the technical complexities by predetermining the ring and lift cord placements. We pre-assemble the headrail and cut the weight bar to the required size. In other words, we take the hassle out of the assembly process. As custom window treatment innovators for decades, we are sharing our expertise to ensure cost-effective, attractive, and very functional window treatments. We hope to benefit our customers, while promoting a sustainable environment through energy conservation. 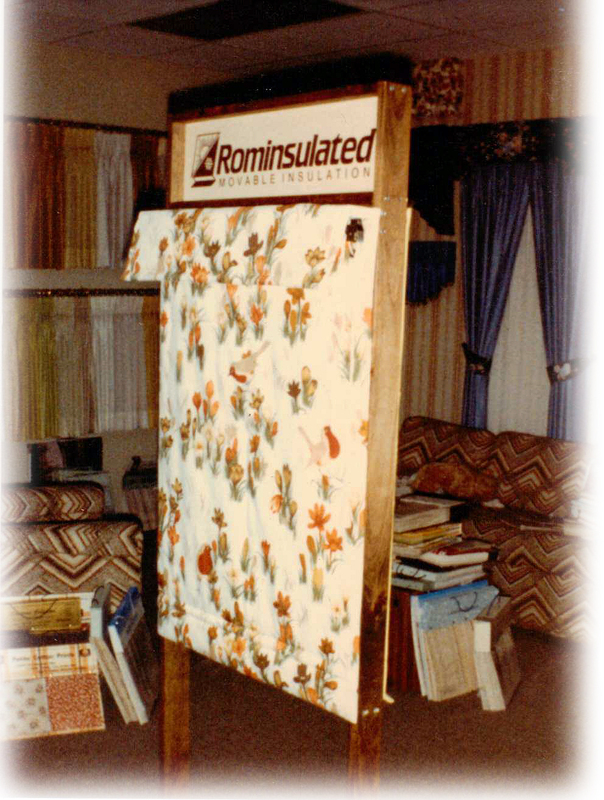 And, yes, we continue to custom fabricate Roman Quilt Insulated Shades just as we have for decades - one at a time!